The sale of Saab should close by the end of the year. The 9-3 is one of three new GM developed models along with the 9-5 and 9-4 coming during the next 18 months. In Zurich this morning General Motors announced that it had signed stock purchase agreement for the sale of Saab Automobile AB to the tiny exotic car maker Koenigsegg, which has about 50 employees. 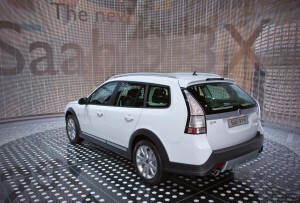 The announcement confirmed GM’s earlier statement that it had secured a buyer for loss-making Saab. Year-to-date Saab sales are off almost 60% in the U.S.
Saab filed for reorganization under Swedish Law on 20 February 2009, after GM said no more funding would be provided for the loss-making operation. As part of the plan, Saab said its design, engineering and manufacturing would be consolidated in Sweden. Conditions that must be met to close the sale include funding of more than $700 million from the European Investment Bank with Swedish government loan guarantees, and transitional assistance from GM, as Saab becomes independent. Saab is about to launch several new cars, including the 9-3X this month, developed with General Motors, that are in the final stages of development. As part of the proposed transaction, GM and Saab will continue to share technology and services during an unspecified time period. The technology sharing will be managed through licenses and service agreements. It is technology sharing and intellectual property rights that are among the contentious issues at the heart of GM’s proposed Opel sale, which has dragged on for months now. “This contract is an important step in the journey to a potential deal,” said Carl-Peter Forster, president of GM Europe. “Saab’s great cars, its unique design, safety and engine technology, as well as its excellent brand image, combined with Koenigsegg Group’s unique combination of innovation and entrepreneurial spirit, bode well for a successful future for the brand… The closure of the deal is contingent on the funding commitment from the European Investment Bank (EIB), guaranteed by the Swedish government,” Forster said. Koenigsegg Automotive makes a few limited-edition exotic sports cars each year. It has sales representatives in Africa, Asia, Europe, the Middle East, North America, and Oceania. The company was founded in 1994 and is based in Ängelholm, Sweden. The Saab bankruptcy announcement came on the eve of the Geneva Auto Show last March, where Saab unveiled the 2010 9-3X model, one of three new models (9-5, 9-3X and 9-4X) due to appear during the next 18 months. In a previous announcement GM CEO Fritz Henderson also said that under the terms of the MOU he expects GM to build the new mid-size 9-4 crossover model for Koenigsegg and continue to supply powertrains. The 9-4 is due to go into production this month in Ramos Arizpe, Mexico. It is closely related to the Cadillac SRX. This entry was posted on Tuesday, August 18th, 2009 at and is filed under Automobiles. You can follow any responses to this entry through the RSS 2.0 feed. Both comments and pings are currently closed.